May the forsythia be with you. And chrysanthemums. And flax seed. While Star Wars: The Force Awakens continues its assault on box-office records, Kylo Ren, Captain Phasma, and their First Order stormtrooper stooges will be invading Pasadena, California, on New Year’s Day as part of Disneyland’s entry in the 127th annual Rose Parade. 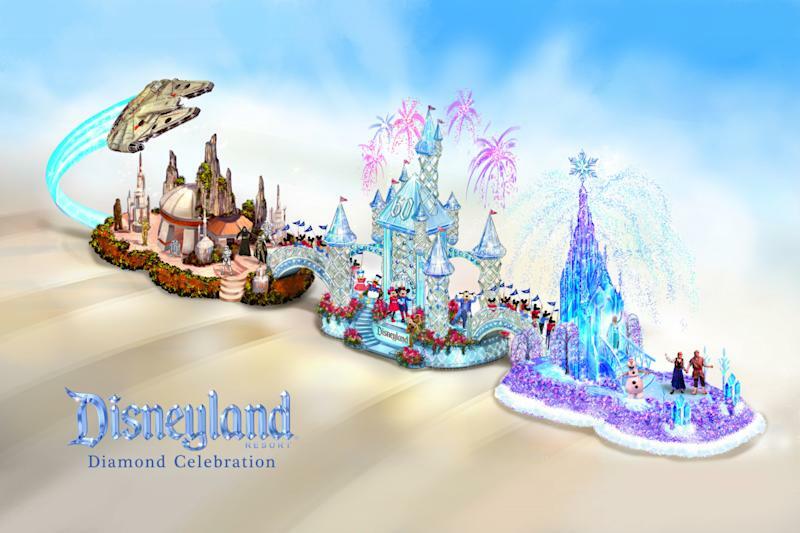 Dominated by a soaring Millennium Falcon coated in carnations, flax seed, seaweed, and strawflower, the Star Wars portion of the float is inspired by the massive upcoming addition to the Anaheim and Orlando theme parks and will feature several characters from the film series. Balancing out The Force Awakens baddies will be Chewbacca, C-3PO, and R2-D2 (officials were mum on whether new fan-favorite BB-8 would also make a cameo). 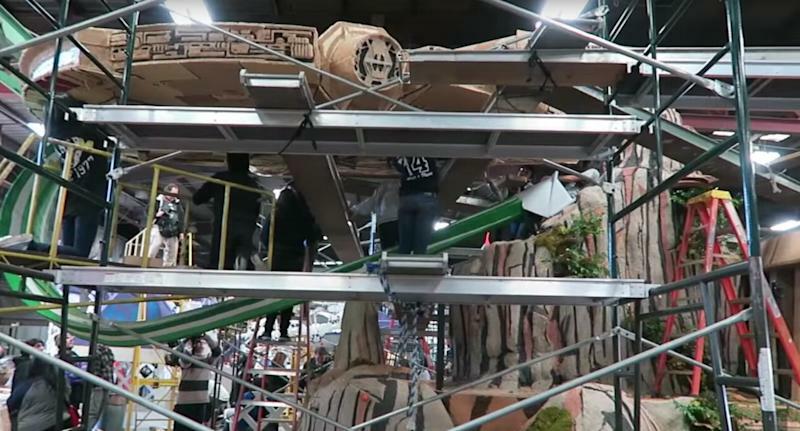 This marks the first appearance by a Star Wars-themed float at the iconic parade since 2007, when George Lucas was the grand marshal leading a battalion of dancing stormtroopers, an Imperial marching band, hundreds of costumed characters, and an Endor float with Ewoks swinging in the branches. 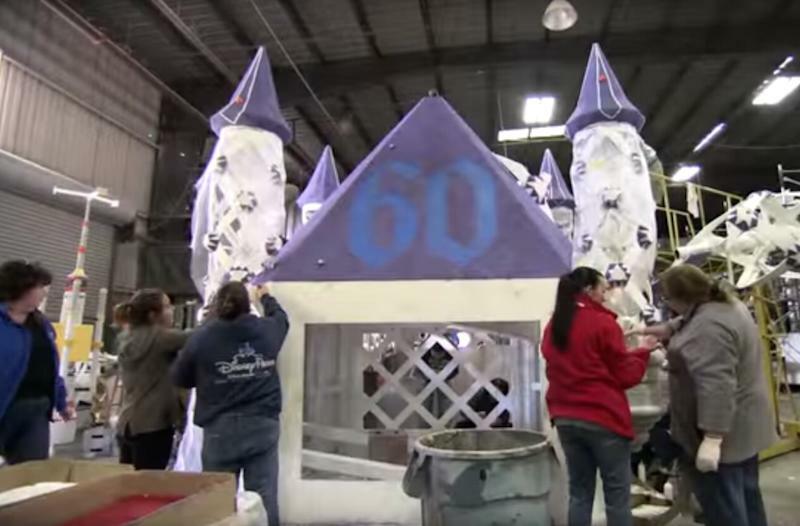 The resort, which marked its 60th anniversary in 2015, is going big with its “Awaken Your Adventure” float, which has three distinct sections. Star Wars Land and a Frozen ice castle populated by Olaf, Elsa, and Anna flank the centerpiece Sleeping Beauty Castle, where such characters as Mickie, Minnie, Donald, and Goofy will wave to the crowd. 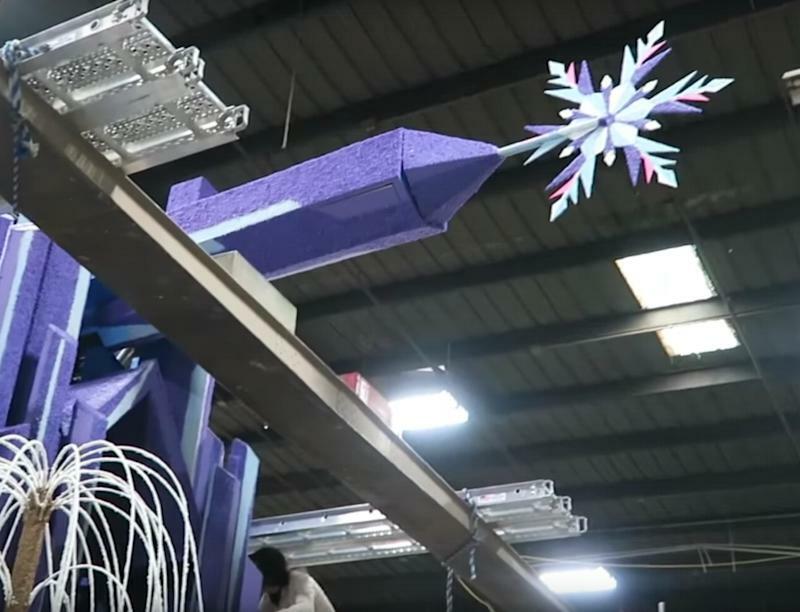 At 150 feet, the float is the longest entry in the parade and will feature 100 total characters and its own fireworks display. Per Rose Parade tradition, every surface of the float must be covered with vegetative material. The Frozen section features snow made of coconut and ice of blue statice. The diamonds encrusting Sleeping Beauty’s digs consist of coconut, blue statice, and silverleaf. All told, the float will be decorated with 650,000 flowers. The 2016 Tournament of Roses Parade airs Friday at 8 a.m. PT/11 a.m. ET.